Sorry, I just can't stop laughing at this one. Well, that appears to be exactly what's happened to the poor lad Mahmoud Ahmadinejad, president of Iran, as he's sent out his police officers to enforce the Islamic dress code that was imposed with the Islamic revolution in 1979. A police bus screeches to a halt. The officers jump out, and swoop down on the women with loose headscarves or whose coats are tight enough to outline their bodies. In some cases, they just warn the women to dress more modestly. At other times, one or two dozen women might be piled into a bus, and taken to the police station for more thorough, uh, questioning. The women are furious. "What they do is really insulting," said one 23-year-old college student. "You simply can't tell people what to wear. They don't understand that use of force only brings hatred toward them, not love." 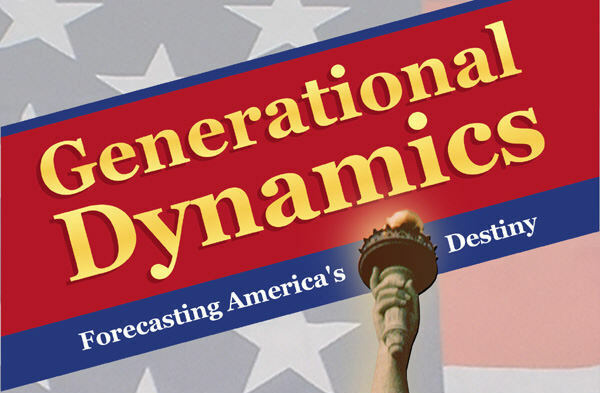 This is all very interesting from the point of view of Generational Dynamics. "A particular feature of most awakening eras is the rise of gender issues. Remember how American college girls burned their bras in the 1960s? Well, maybe Iranian girls won't do the same (or maybe they will! ), but they'll make their opinions felt in other ways. And since Ahmadinejad obviously considers himself a ladies man, they're going to target him specifically." Iran is in a generational Awakening era, just like America in the 1960s-70s. What happens during Awakening eras is that young people rebel against their parents, and that almost always includes some kind of gender component. We had our "women's lib" in the 1960s, and Ahmadinejad is just starting to get into trouble with women in Iran's current Awakening era. Iran is entering a very tumultuous time politically, as I wrote in an analysis last month, and Mahmoud Ahmadinejad is under heavy fire. He's receiving heavy international criticism for his nuclear policy, and many Iranians are criticizing him as well. Iran was embarassed by last month's Iranian hostage crisis. Ahmadinejad got nothing out of last summer's Lebanon war, despite spending huge amounts of money to fund Hizbollah, and Iranians are furious that the economy is getting progressively worse. 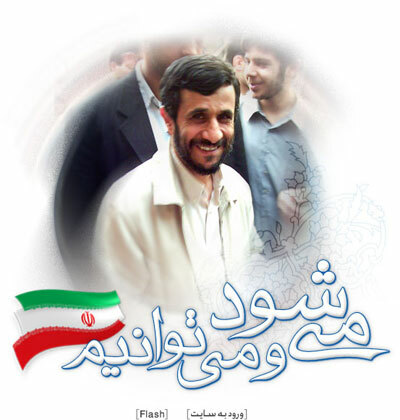 Mahmoud Ahmadinejad is a very dangerous person, and he may yet trigger a war in the Mideast. He may have gone "sim-pul-ly mad," as the song lyrics suggest.